When the Think Tank Photo (TTP) Retrospective bags first came out I asked TTP why didn’t they just call these Urban Disguise (UD) bags with colors? From the web site I couldn’t see much difference so it didn’t make a lot of sense to me at first. After reviewing these bags I understand the subtle differences and more importantly I’ve come to appreciate both the Urban Disguise Series as well as the Retrospective Series much more. I still wish they’d make a UD bag in the Retrospective material, but hey that’s just my 2 cents. You can see my review of the Urban Disguise Series and the Urban Disguise 40 v2.0 for a closer look at them, but the one thing I noticed right away about this series is the material. 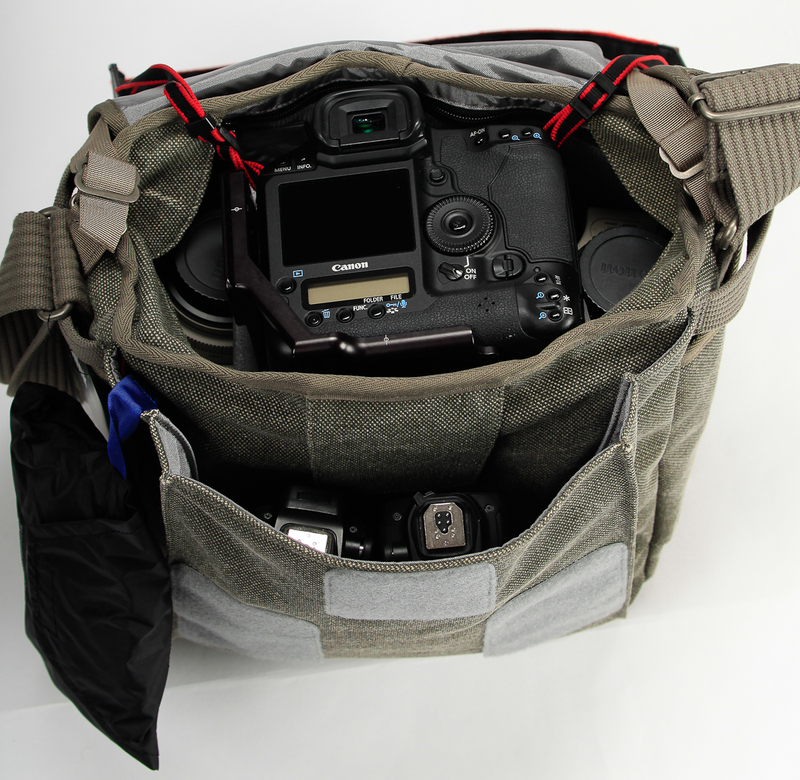 It’s much more flexible and doesn’t seem anything like a camera bag on the outside. TTP bags are known for being stealth, so this takes it to the next level. 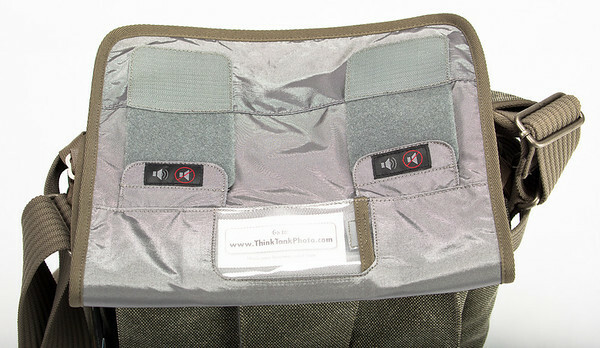 Since this bag doesn’t use the buckle system found in the UD series you end up with massive pieces of Velcro. This results in a loud noise when you lift the flap, so you can release the flaps shown below called Sound Silencers to cover the big Velcro strips to quiet the bag. While I appreciate the thought, I actually don’t like this feature because I think you are taking a greater risk of spilling your gear. 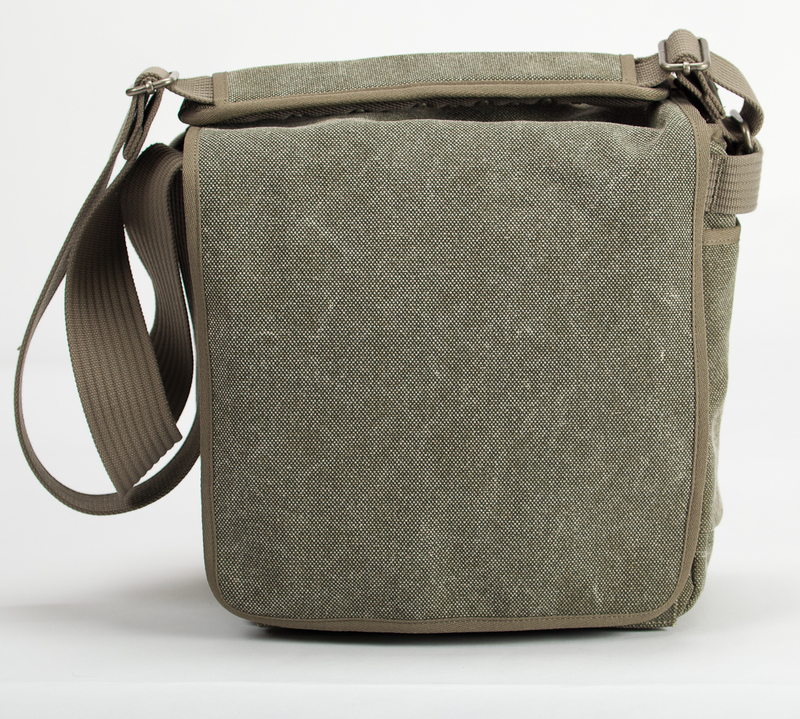 I do wish this bag had the UD series style buckles instead of big Velcro. Here's a video tour of the bag that I have. My apologies for the poor quality video and sound, but hopefully you’ll still get the idea. I must also point out that I incorrectly describe the sound silencers in the video due to my review of a separate back intended for HDSLR’s. As you can see it can hold a lot of gear, but honestly I’d recommend something smaller than a pro body. It fits, but not comfortably. My 5D Mark II (or the Nikon D7000 I reviewed) is actually a better fit. In real life, usually use it to hold my 24-105mm on camera as shown along with a 580 EX II flash and an one other lens like a 16-35mm. Before I got this bag I wasn’t very interested in reviewing it as I didn’t see any value in having it. I have Urban Disguise bags which I love and use often, so I just didn’t see any value in having a different color bag that seemed the same.In may ways I still think the Urban Disguise Series additional features make them the better choice, but when I had both bags available and sitting next to each other I kept find myself wanting to use this one. Ultimately I learned that they aren’t the same and came to appreciate the nice look and flexibility of this bag. I also appreciated the fact that it looked less like a camera bag when I had to leave it in the back of the SUV when parked. Camera theft is going way up in my state, so stealth mode is super important these days. Of course, I don’t recommend you leave your bag in plain site and camera insurance is a must, but sometimes you’ve just gotta leave the bag in the car for a bit so I appreciated this feature. 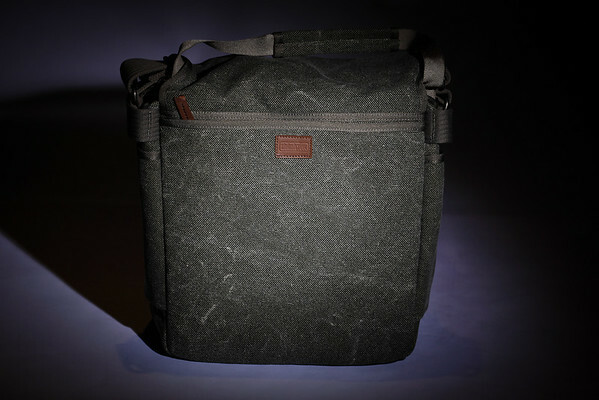 I recommend this bag for those who are looking for something more stylish or softer. I find myself using mine and enjoying it quite a bit when I need to take a camera bag to a friends house and I don’t want to look like the photography geek. A note to Canon owners: The photos (not video) in this article were shot with Canon’s new 70-300mm f/4-5.6L IS USM lens that I reviewed here. 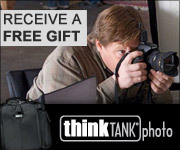 Visit my Think Tank Photo to learn about a special offer on how you can get a free bag when you place your order, plus links to other TTP reviews. 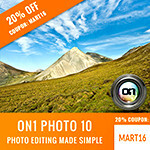 You can also visit my discount coupon code page for other discounts and offers. I was given a bag to review for this article and I may get a commission if you make a purchase using the links in this article. Please support this blog by using the links. I agree with your comment on the internal size of the Retrospective 20 is more suited for a non-pro camera. I have tested mine with a 5D with the battery grip and RRS l-plate, it fits but deforms the bag. Without the battery grip, it fits much better and doesn't bulge in the center. Also as mentioned, 70-200mm f/2.8 are no problems for the bag. My only vice is the cotton fabric doesn't repel water as nice as a nylon bag but nothing some Scotchgard can't fix. The Origin of the Art Critic – Wanker!